More than 30,000 non-fatal electric shock accidents occur each year. From 2003-2010, 1,738 people died from exposure to electric current in the workplace. From 2003-2010, an average of 217 people died each year of electrical shock in the workplace. 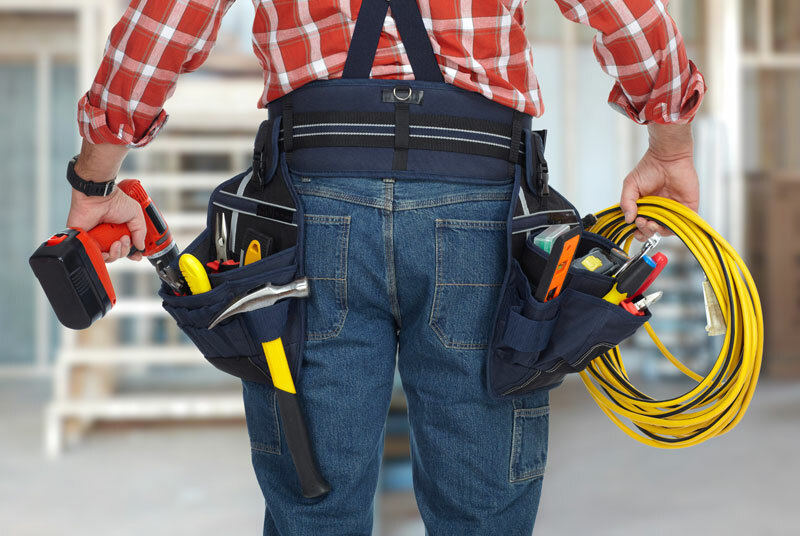 What Is Electrical Contractors Insurance? Electrical contractors insurance or electrician insurance protects you from the risks of the electrical business. The policies normally include three main components. The property damage and general liability coverages can be bundled together in what is called business owners insurance plan, or a “BOP.” This is a business insurance plan for small businesses that make $5 million or less a year and employ fewer than 100 people. Commercial vehicle insurance: Whether you are a sole proprietor or you have a team of electricians, you most likely drive vehicles for business purposes. Personal auto policies are typically not sufficient to cover your risks when you drive a personal vehicle for commercial purposes. Business income or loss of income insurance: This protects your income if you have a work disruption that prevents you from performing work. Equipment breakdown insurance: This insures you against equipment breakdowns and mechanical issues. Inland marine insurance: This covers your equipment as you are transporting it to and from jobsites and can also cover specialized construction or electrical equipment. Life insurance: A number of flexible life insurance options are available. For example a policy can be structured to provide for your family’s needs in the event of your unexpected death or it can be structured to provide for business continuity. Business insurance can be tailored to your specific needs. For example, if you do not have office or storage space or payroll obligations to other employees, you may be able to just carry general liability. Do You Need Workers Compensation? Electrical contractors who hire employees will likely be required to carry workers compensation by state law. Workers compensation laws vary by state, with some requiriing workers comp if you have a certain number of employees and others requiring you to carry it if you are in business, whether or not you hire staff. This policy covers your employees if they are injured or die as a result of a job-related incident, or develop a work-related illness. It covers your employee’s medical diagnosis and medical treatment. Also, if the injured employee is unable to work for a period of time, the workers compensation will reimburse the lost income. Sole proprietors and electricians who work as independents are normally not required to carry the coverage. Another coverage you may want to consider is an umbrella liability policy. This policy protects you if your liability insurance coverage limits are not enough to cover a liability claim. Electrical work can sometimes cause accidental deaths or massive property damage, and this type of policy can protect your business and personal assets in the event of a large legal claim. As an electrical contractor or electrician, you face dangers and hazards all day long. Be sure to protect yourself and your investment in your business by carrying the proper electrical contractors insurance. Taking time to research the proper policies that cover your risks is something you should consider. Finding an agent who can give you an advantage and produce several rate quotes before you buy might be a good use of your time and money. Most agencies will give you a quote for free – but it’s a good idea to make sure you’re looking at several policies before you buy, to make sure the coverage is adequate and the price matches your budget.